Former Deputy FBI Director Andrew McCabe is looking to sue for defamation, wrongful termination and other possible civil claims, his lawyer told reporters Friday. What to watch: McCabe’s lawyer, Michael Bromwich, also said his client told then-FBI Director James Comey that he was pushing back on stories about the Hillary Clinton investigation — which would mean he didn’t lack candor. They are seeking ways to release emails and phone call transcripts between McCabe and Comey to shed light on the issue. Timing: Bromwich said McCabe's legal team has yet to work out a timeframe for when they plan to file the suits, but the team "want[s] these to be solid. We’ll file when we’re ready." The intrigue: Bromwich said that McCabe was "upset and disappointed" by some of the things former FBI Director James Comey has said about him. But he added they are not suggesting that Comey is "making things up or lying." "Nobody’s memory is perfect, people are fallible," Bromwich said when asked about the differences between McCabe and Comey's stories. "McCabe has a clear recollection, Comey does not." Bromwich added that his team hasn't managed to find any witnesses to corroborate McCabe's version of the story, but said they also haven't had the necessary time to do so. One big thing: Bromwich announced the launch of the Andrew McCabe Legal Defense Fund. Its three trustees are looking at transferring the $550,000 that was raised via a GoFundMe campaign over to the more formal legal fund. 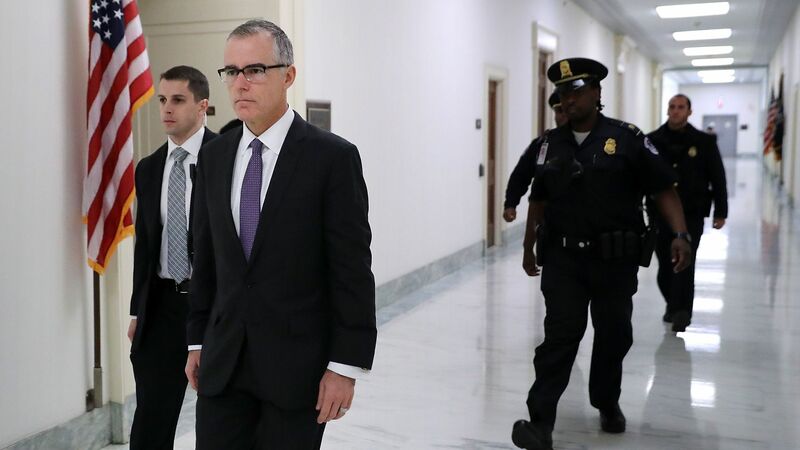 Bromwich's bottom line: He believes that if the case against McCabe is evaluated on the merits and facts "there will be a decision not to prosecute on any charges whatsoever," again emphasizing the low standard for a referral from the OIG's office.